Typically, hunger and laziness come to me as inseparable couples. To make things worse, I have been trying to eat healthy. Nevertheless, here is another recipe that solves all these at once. 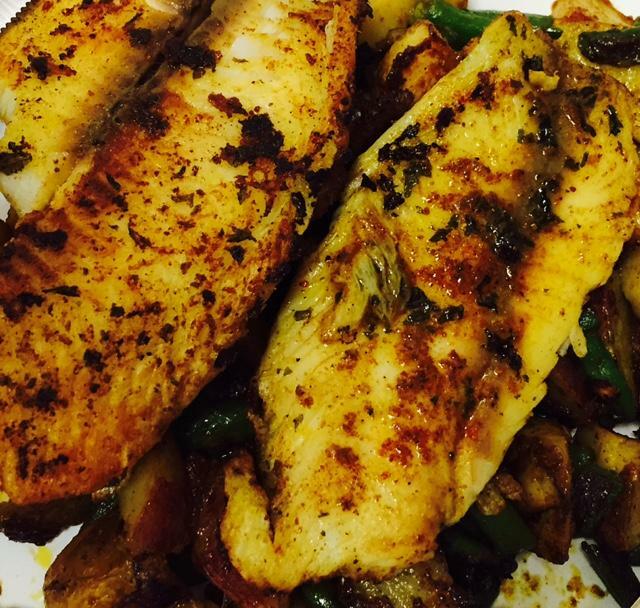 Its my five minute Tilapia Fish Recipe. Two major ingredients - fish and veggies, of this recipe can be grabbed from the frozen section of any supermarket. Thaw and wash fish pieces carefully. In a skillet, put a tbsp of oil and add frozen veggies to it. Add 1/2 of all the spices and salt to it. Fry for about 3-5 minutes and keep it aside on a plate. In the same skillet, add rest of the oil. After about a minute, add fish pieces on medium heat. Sprinkle salt and half of the remaining spices on the top of the fish. After about 3 minutes, turn the fish and sprinkle rest of the spices. Let the fish cook slowly. Sprinkle some lime juice on the fish. Once the fish is of mustard color, put fish pieces on veggies. 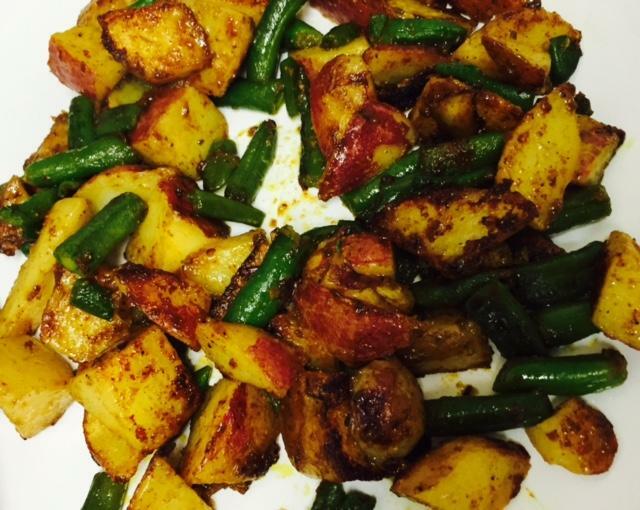 Serve and garnish it with lime juice and some cilantro for an exotic lunch/dinner.